peter_england99 had the most liked content! Hi Tony, if you can get the Bluetooth driver on the PC to use a comm port between 1 and 16 then you should be able to select the respective port in the 'Config' section and it should work. Sadly, the software is developed in VB 5.0 and the MSComm object only allows the CommPort to be set from 1 to 16. I did attempt to port the code to a later version of VB, however, mostly due to my poor coding/design, to port it I would have to change many of the screens(Forms) and the supporting code (the newer VB version I used did not allow the same number of text boxes and labels on the Form). I suspect if I take the time to do an update/upgrade, that I might be more motivated to re-write in an environment that will run on Android. Hi Reed, The grayed out tests are tests where the ECU did not provide a status for the respective test category. Glad the software is useful. Great day out and good to meet you all. Thanks for the cream tea Bibs and Ian, thanks for letting me know the event was happening. Mike, please don't forget Crackington Haven. Both ELM 327 & 323 should work and both OBDII interfaces sockets (boot and passenger foot well) should work. Please remember that for the OBDII interface to work on the Esprit: The vehicle's ignition key needs to be switched to the 'Ignition auxiliaries' position. There needs to be sufficient vehicle battery power to power the ECU & interface. The interface needs to be correctly plugged into the vehicle and PC/lap top. The driver that came with the ELM interface should be installed. The correct port number needs to be known. The correct baud rate needs to be known. Generally, I suggest installing the device driver and software package that come with the interface to prove if the interface is working. When you have it working check the port number and the baud rate being used and use these settings in my software. What operating system have you got installed on your PC/lap top? Regards, Peter. Anyone installed Ramspott & Brandt Shocks & Springs? Hi Charlie, Thanks for posting your experience. I've decided to stay clear of them and get the Lotus parts. Now just dependent of Lotus' supply times. Regards, Peter. Hi, has anyone installed the Ramspott & Brant ' Suspension kit- S-350' shocks and springs (Order-Nr. : 10728 http://www.ramspott-brandt.de/ section 'Esprit 1988 on-wards-Suspension')? If yes, I'd appreciate your feedback. Regards, Peter. Thanks for the advice/comments. I'd also really like to get some feedback from people who have actually installed the Ramspott & Brant ' Suspension kit- S-350' kit. Regards, Peter. Hi, has anyone installed the Ramspott & Brant ' Suspension kit- S-350' shocks and springs (Order-Nr. : 10728 http://www.ramspott-brandt.de/ section 'Esprit 1988 onwards-Suspension')? If yes, I'd appreciate your feedback. If possible could you also share what spring rates you installed? These shocks & springs look very similar to www.pukesprit.de 'Fully adjustable suspension Type S-350' in the Chassis-Suspension section. Regards, Peter. As far as I'm concerned the red plastic hose is standard. My 97 v8 has one. Hi James, if the check engine light/MIL is on I'd check the fault code before investing in compression testing. Hi Gary, I just downloaded the zip file and installed it, so the file seems to be OK. You are however not the 1st to say you have this problem. All the other people with the problem eventually managed to down load the zip from here. Can you download the zip onto another computer and try there? Alternatively, pm me your email address and I'll email you the zip directly. Could be a virus checker issue. I use AVG and it always warns me when ever I download a zip file. Regards, Peter. Hi Graham, If you have gone into the 'Select PIDs' tab then their are 6 drop down boxes that will display the PIDs that the ECU/ECM says it supports. The start up setting of these drop down boxes is '0 - No PID Selected'. This means that the program hasn't connected to the ECU/ECM yet and hence doesn't know what PIDs are supported. I would normally expect to see a list of PIDs in the drop down box if you were able to connect and had recorded data to a CSV file. Have you checked the csv file in Excel or in an text editor to check that it has data? Did start use the 'Read All' option in the 'OBD Data' tab to record the csv file? If yes did you see the PIDs changing on the display? I have to say that I always dread driver problems on the ELM interface, as I don't have the skills to provide much support. I'ts great that you were able to resolve your problem and posted how you achieved it. Thanks. Regards, Peter. Hi Bill, Lotus provided me the technical documentation under the condition that I did not pass it on and did not use it for personal gain. 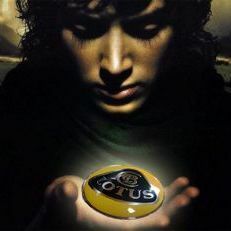 I suggest that you contact Lotus and ask them if they can supply you with the specification. As they supplied it to me and Wayne Ellison, I don't see why they wouldn't supply it to others. I dealt with Ralph Purvis and Brian Angus at Lotus. I don't know if Ralph is still at Lotus. Sadly, I do know that Brian is no longer there (hopefully enjoying his retirement). Regards, Peter. I suspect Caterham are up to the job of doing the required engineering. They may currently have more experience than Lotus themselves! You need to bear it in mind that key lotus people (inc. Tony Shute program manager for Elise, Evora, etc.) are now working for Caterham. I can’t remember if it was EVO or Autocar, who on a visit to Caterham said they thought they were at Lotus as they kept on seeing ex Lotus employees whilst walking around the building. I don’t know why these ex Lotus employees jumped ship, but I’d imagine that Dany Bahar bringing in his own team for new car development, the lack of development/production once the Bahar bubble had burst and the lack of job security at Lotus may have contributed. Sadly, I don’t think that Lotus now has the same capabilities that it had whilst under the stewardship of Mike Kimberly. For Lotus’ sake I hope they manage to keep hold of Matt Becker and Gavin Kershaw (are they still at Lotus?). As the departure of these ride and handling gurus would seriously damage Lotus’ DNA. Peter.